Posted March 15, 2013 by grohling & filed under Events. First Tour Full, Second Tour arranged for May 1. Please visit second tour page for details. 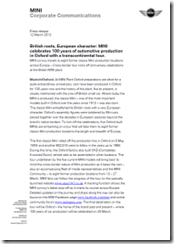 We have a special guided tour of the Mini production plant as 2013 marks the 100th year of car production in Oxford. Each car is individually produced to the customer’s precise specification using advanced engineering and computing technology. Registration is required. Please visit the tour page for more information. 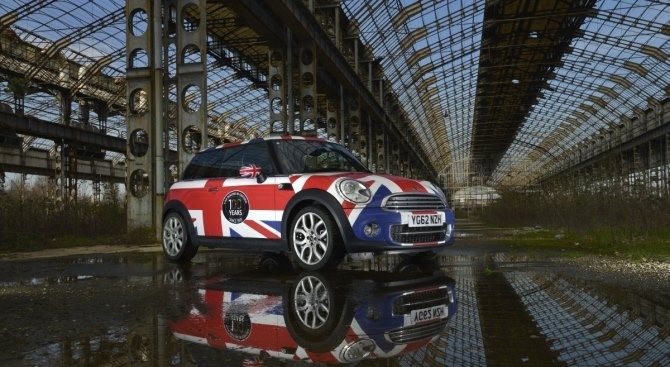 Follow the MINI convoy as it travels to eight former classic Mini production locations across Europe starting 13 March 2013.